The final instalment of the review of Oliphint"s new book on Aquinas.The entire review is published in the Journal of IRBS Theological Seminary (2018): 163-93. It may be purchased at www.rbap.net. So now we look to Scott Oliphint’s more detailed treatment of the Five Ways in his Chapter 2, ’Foundation of Knowledge,’ which consists of four expository sections and a fifth of critique. We shall see that the discussion of this and the next chapter assumes Aquinas propounds a set of foundational principles on which Christian faith is erected. It is intended to reinforce what Oliphint takes to be the errors of Aquinas’s two foundations which the author has identified, one of knowledge, the other of metaphysics. So what Oliphint’s two main chapters of comment on Aquinas boil down to is criticism of the Five Ways in ST 1a 2.2, from the point of view of his understanding of Christian apologetics. There is first a discussion of Reason and Revelation. 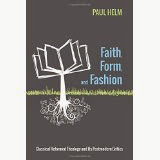 Here the author is in the area that we have concentrated on, natural theology and its relation to the supernatural theology of ‘Articles of Faith.’ Oliphint says that reason is the foundation and revealed theology the superstructure (13). As we have already noted this seems odd, for in ST 1.1 Thomas is already at home in referring to revealed theology before he attends to natural theology. Why else is Scripture, e.g. Romans 1:19 and John 1:9, cited as authoritative? We have seen earlier that the articles of faith form a distinct science. Here is a passage that supports this from a writing earlier than the ST.
First of all I wish to warn you that in disputations with unbelievers about articles of the Faith, you should not try to prove the Faith by necessary reasons. This would belittle the sublimity of the Faith, whose truth exceeds not only human minds but also those of angels; we believe in them only because they are revealed by God. Yet whatever come from the Supreme Truth cannot be false, and what is not false cannot be repudiated by any necessary reason. Just as our Faith cannot be proved by necessary reasons, because it exceeds the human mind, so because of its truth it cannot be refuted by any necessary reason. So any Christian disputing about the articles of the Faith should not try to prove the Faith, but defend the Faith. Thus blessed Peter (1 Pet 3:15) did not say: ‘Always have your proof’, but ‘your answer ready,’ so that reason can show that what the Catholic Faith holds is not false. The point being made is that articles of faith cannot be defended by reason since they are above reason. Nevertheless, articles of faith cannot be false, being from God, and so are not falsifiable by reason, but may be defended, as recommended in 1 Peter 3:15. This is a clear claim that articles of faith are quite distinct from demonstrative proofs, and that Aquinas was not a foundationalist. Certainly he did not hold that Christian theology was built on the foundation of natural theology. At this stage Oliphint cites Thomas’s commitment to a three-fold knowledge of God from another text than the ST. First, by his effects; secondly, knowledge of God through the operation of reason; and thirdly, knowledge imparted through infused supernatural light (14). But the author spends no time in showing how this diversity in the sources and kinds of knowledge can be the fruits of the foundation that Aquinas allegedly provides. Writing of this three-fold knowledge Oliphint holds that the third class in which God is known in himself ‘garners little or no respect in Thomas’s system’ (16). In other words, in Oliphint’s view, Thomas’s system is one in which reason and not revelation is dominant. But is that so? Here we come upon one of the most puzzling features of Thomas’s method, according to Oliphint. Thomas exegetes Scripture. He is a Christian theologian, even though he is a bad exegete, in Oliphint’s eyes (121). But the glaring puzzle is how Aquinas can legitimately have this role if he is (as he is at this stage according to Oliphint) principally a natural theologian expounding the Five Ways as an Aristotelian, appealing to “’pure nature’ as a foundation for the grace of redemption” (32, n. 40). Is this not to put the cart before the horse? This shows that Oliphint muddles up the role of the philosopher engaging in scientia, according to Aquinas, with that of the Christian theologian engaging in expounding the articles of the Christian faith, another form of scientia. Incidentally, Paul’s assertion in Romans 1:20 seems more positive according to Aquinas than Oliphint allows it to be; it provides an account of part of what the Reformed later referred to as the sensus divinitatis. This discussion of self-evidence is concerned with the notion as it is employed in the proofs, demonstrations that God exists. But what does Oliphint have to say about such qualifications of Aquinas as “However, there is nothing to stop a man accepting on faith some truth which he personally cannot demonstrate, even if that truth in itself is such that demonstration could make it evident” (ST 1a 2. 2)? This seems a significant qualification to the value Aquinas places on the proofs in Christian belief, but Oliphint ignores it. I think their acknowledgement would significantly undermine his critique of Thomas. Oliphint seems to favor Ralph McInerny’s view of the separateness of philosophy from theology and thinks that this shows that for Thomas the discipline of apologetics (which naturally Oliphint is interested in) “is rooted in the principium of human reason, which, of itself, according to Thomas, is able to produce, by way of demonstration, a true theology” (29). But this seems to be an unwarranted conclusion if ‘a true theology’ covers all the ground covered by ‘the articles of the Christian faith.’ Theology of the articles in this sense, Thomas would say, is a product of the authority of the Church’s preaching via the canonical Scriptures. Philosophy may clarify them, as Aquinas notes, citing Paul’s adducing “the resurrection of Christ to prove the resurrection of all” (ST 1a 1.8). The foundationalist emphasis is continued in this chapter which is concerned with what Oliphint thinks are the metaphysical foundations of Aquinas’s thought. We see now that he omits discussion of Aquinas’s distinction between a proposition which is self-evident in itself and one which is made self-evident to us (ST 1a 2.1). This is the role of natural theology, a discipline which not all may be versed in. Oliphint runs cursorily through who God is, and God’s simplicity. He makes a series of stray comments, discussing the topics of the relation of existence and essence, and of analogy. Thomas concludes “God’s effects, therefore, can serve to demonstrate that God exists, even though they cannot help us to know him comprehensively for what he is” (ST 1a 2.2). That is, we cannot know God in himself. The distinction between that God exists, and what he is that exists, is of some importance. In his discussion of the proofs Aquinas moves on to the importance of God’s simplicity, an essentially negative notion. The cosmological arguments of the Five Ways are efforts at proving God’s existence from his effects, indirectly. It is good to see that Oliphint affirms divine simplicity (90), but the longish discussion of it from Alvin’s Plantinga’s skepticism of divine simplicity to Eleonore Stump’s affirmation of a version of it to Brian Leftow’s skepticism of it once again, does not take us very much farther. In terms of the brevity of the book, when so many of the strands of Aquinas’s treatment of divine scientia are ignored, this long discussion (91-109) seems excessive. All five proofs seem to be variants of cosmological arguments, deductions based on the observations of obvious features of experience, in which that there is a God is demonstrated. This is very Aristotelian, most obviously so in Thomas’s version of them in his earlier Summa Contra Gentiles. Some commentators think the fifth way is an early form of the argument from design made famous by William Paley in the eighteenth century. Oliphint does not venture to give any opinion of the validity of any of these arguments. From being products of philosophy, and so a case of scientia, in Oliphint’s view, these have become foundational instances of the operation of ‘neutral rationality – natural reason’ (85, neutral is a term that is unexplained) and so a seriously mistaken apologetic strategy. And Aquinas’s alleged mistakes in exegesis compound his errors in Oliphint’s eyes. And as such he is open to critique by Oliphint’s ‘revelational epistemology’ (121). But to offer these as the Reformed critique of Thomas’s epistemology simply underlie his lack of sympathy with Thomas. Oliphint’s strategy becomes clear. He is not intent on discussing the validity of Thomas’s arguments for God’s existence, nor in their historical setting. What interests him is Thomas’s foundationalism, the way in which he allegedly builds grace upon nature, and his reliance upon natural reason to achieve this. In this way he fattens Thomas Aquinas for Van Til’s market, for Van Til was dead set against any such apologetic. In his Conclusion Olphint underlines even more clearly why he has chosen such an idiosyncratic approach to Aquinas, one that is completely ahistorical. He seems to fault Aquinas because he did not anticipate Hume and Kant. This among his ‘confusions’! All this is to present him as a foil for his view of Van Tillian apologetics. So his anachronistic account of the Five Ways has become that of a classical foundationalist rationalism of the Enlightenment. His references to contemporary debates on philosophy and theology in Aquinas is to adopt the approach of Ralph McInerny’s view that in the proofs Aquinas is behaving as a philosopher, and not, as with such as Etienne Gilson, that the proofs are theological in character. And therefore, he implies that Aquinas relies on pagans and Muslims. So much the worse for Aquinas’s bad philosophy. He repeats what he has said throughout the book that, according to Thomas, natural theology must have a sole foundation in special revelation. This is one reason why he pays such attention to Aquinas’s exegetical mistakes, if they are that. And while he pays attention to Aquinas’s work as a Bible commentator this is to show what he regards as more of his shortcomings: Aquinas in his view paid attention to “Aristotle and his Muslim followers” (50). He “was no exegete” of Scripture (121). Oliphint’s outlook does not encompass the more generous view of a number of contemporary scholars that Aquinas’s work as a biblical commentator is of considerable value. There are additional oddities, as when he ascribes Thomas as a forerunner of Molinism, “an Arminian approach to divine sovereignty” (125), passing by the fact that opposition to Molinism in the Roman church was largely in the hands of Dominicans. (He never lets on that Thomas was an Augustinian theologian.) The Molinists’ libertarianism is more likely due to the influence of Duns Scotus on Molina, or perhaps that of the Franciscan Jean Olivi (1248-1298), but almost certainly not Aquinas. This book is a great disappointment and represents a lost opportunity. Too often Oliphint’s low opinion of Thomas Aquinas is only too clear. So if his price for the use of Aquinas for the purposes of furthering his own views on apologetics is the distortion of Thomas’s views, is this not too high a price to pay? 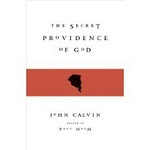 His manipulation of Thomas’s ideas in the interest of a neo-Calvinist apologetic is unscholarly. Maybe it is of doubtful morality too. There are two things that will endure: first, treating Aquinas un-historically as an evidential foundationalist, while yet recognizing Thomas’s dependence on Scripture in carrying out his program and, second, treating the Five Ways as apologetics in the modern evangelical sense. The contribution of Aquinas is then seen exclusively as the author or publicizer of the Five Ways, handing them on as gifts to the culture of apologetics down the centuries, and so a target for critique in the light of current apologetics in the twenty-first century. It is in this guise that Oliphint treats and critiques them. The author’s selection of Thomas’s writing material is skewed by his own, quite different, apologetic convictions. His interpretation of Thomas is likewise skewed. His account of Aquinas would have been much more faithful and useful had he given attention to Thomas’s stress on the Christian character of Part 1 Question 1 of the ST, and the place of philosophical argument within it. He would then have seen that Aquinas’s Five Ways do not easily migrate to become a paradigm for modern evidentialist apologetics, and he would not have been cast in the role of an opponent of other styles of apologetics. Overall, Oliphint’s treatment of Aquinas as a Great Thinker is a disappointment because the shape of his book intends the reader to see how his writing is an obvious case for adhering to the apologetics of Cornelius Van Til. 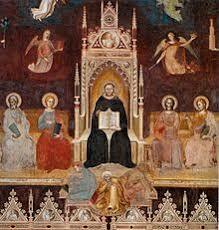 And this is the case at whatever cost to what Aquinas’s writings actually tell us. Had he taken Aquinas’s general, positive influence on Reformed Orthodoxy and beyond, for example, the book could have been an altogether more positive and instructive study for his likely readership. Reasons for the Faith Against Muslim Objections, 1264 (trans. Joseph Kenny) Ch.2. Chapter 2: How to argue with unbelievers, Opuscula theologia, ed Marietti. The Summa Contra Gentiles (1259-1265), to which Oliphint occasionally refers, was the earlier and more apologetic of the two Summae of Aquinas.